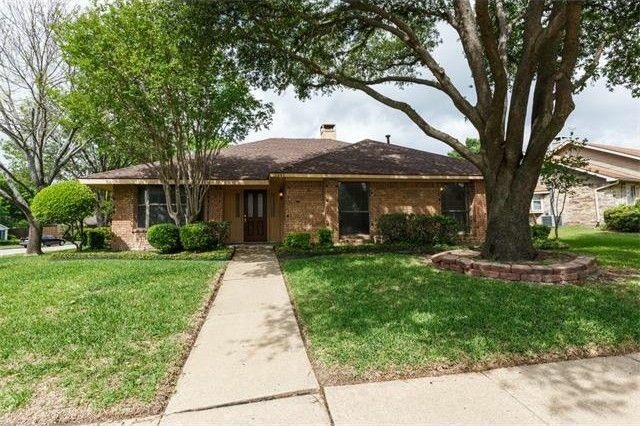 Charming single story home on a large treed corner lot with views of beautiful Lake Ray Hubbard. This original owner home has been pet and smoke free. The Family Room features a gas log fireplace, crown molding, laminate hardwoods and decorative ledges. The updated Kitchen includes quartz counters and back splash, laminate flooring and a gas range. The Master has patio access and a nice bath with dual sinks, walk-in closet and jetted tub. The home also offers a bay window Breakfast Nook, Formal Dining that would make a perfect Study, second Living Area, covered patio, carport, sprinkler system and so much more! Improvements: Carpet 2017; Foundation 2016; Roof 2015; Kitchen & Hall Bath 2013; AC 2012. Directions: From the East: I-30 to Bass Pro exit, stay on WB service road for 1 mile, U-turn onto EB service road at PGBT-190, 1st Right on Peninsula. From the West: I-30: Take Zion exit, stay on EB service road for 1 mile, Right on Peninsula.